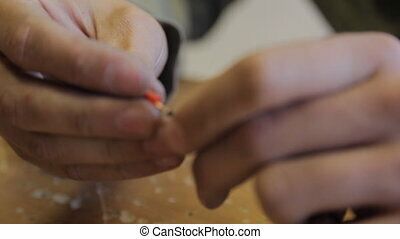 Electricians Bare Metal Strands, Putting On The Terminal. 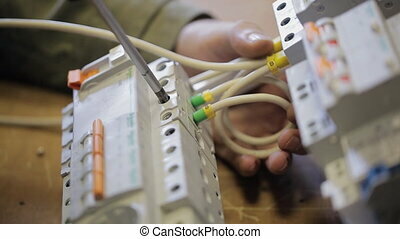 Professional electrician connects a safety switchgear using crimp. 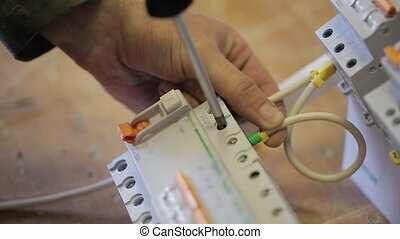 Man must finish connection of wires, then continue installation operation. Device case is located before him on wooden table beside black mobile phone and preparing to install electrical equipment in the room. Specialist operates alone without assistants. Master wears special green suit, works very carefully. System with some parts before person. 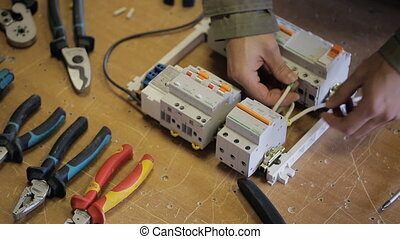 Two electrician working with equipment for installation of wires in system. 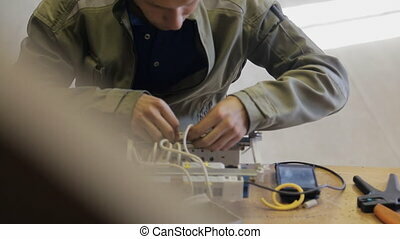 Close shot hands of master holding tool with inserted wire. At end of conduct clamps tip, which used for connection with another conductor. Partner in green clothing form stands next to worker, helps with electric engineering indoors. 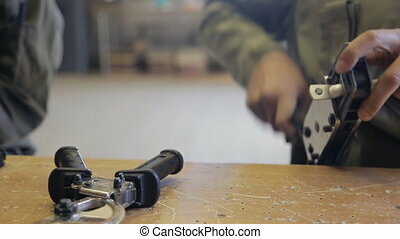 On wooden table device for cutting rubber protection on building house.